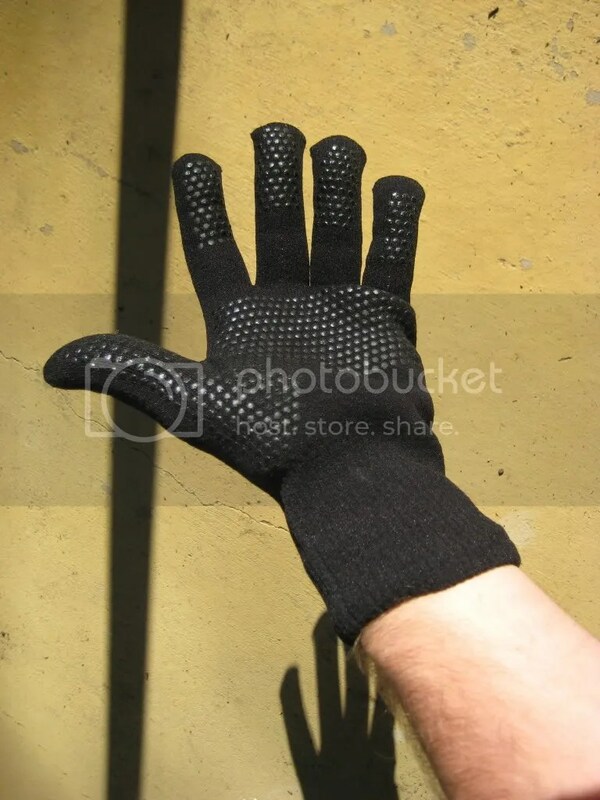 A windproof, waterproof, breathable glove with grip dots on fingers and palms. 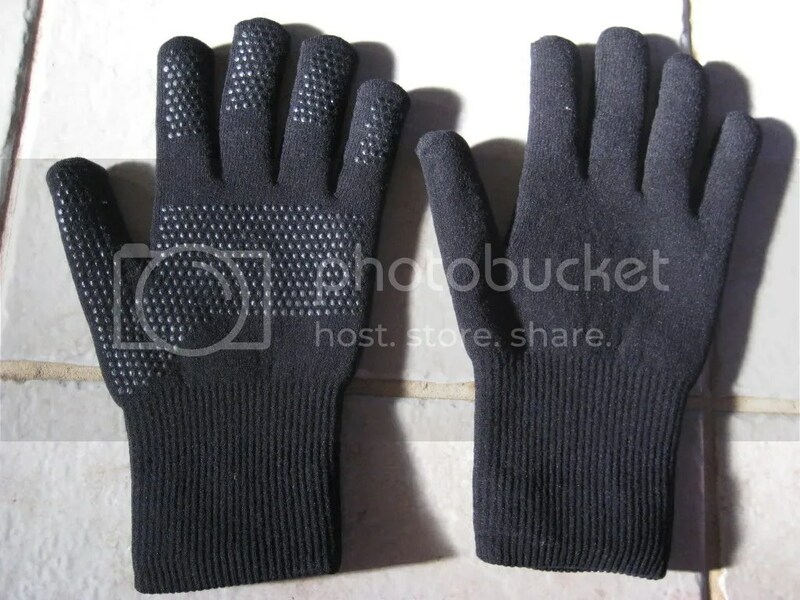 The gloves are a combination laminate of Merino wool for the inner and an acrylic/elastane outer shell. 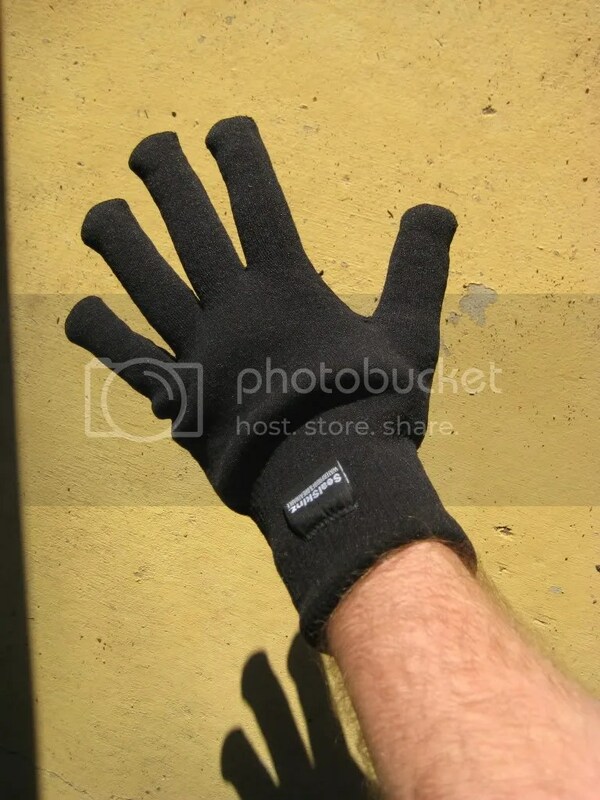 I was looking for a pair of cold weather gloves that allow decent dexterity. The gloves have been tested along the Overland Track by my darling sister. She found that her hands were warm and dry, despite the amount of cold water and snow that can be found in that region in Spring. The Ultragrips feel like some sort of wet suit material. So, how good are they?? For this review, I’ve used these gloves to do the dishes. Hands were completely dry. That’s not bad at all. Try that even with fully treated ski gloves. The advertising claims 100% water proof. Dexterity-wise, I can easily use my fly zip to pee. Handling weapons is no problem. I even managed to type part of this review with them on, albeit slightly more difficult to access the keys properly. Buttons on shirts are do-able, if slightly fiddly. But I like these gloves so far. I have worn these gloves on a couple of walks now, and also wore them whilst on holiday in the US in the midst of a Northern Hemisphere winter with a harsh blizzard season in the North East corner of New York, Chicago and Washington DC. The gloves held up quite well for keeping my hands warm, whilst also allowing decent dexterity to handle such items as cameras and zips with no problems.. They performed quite well at keeping my hands warm. In addition, since they were water proof, I had no problems in decontaminating them after dealing with large numbers of people in major cities. The only problem I’ve found is some of the grip dots being worn off from highly abrasive items like jute string handles on fancy shopping bags. The only times they weren’t suitable to keep the warmth in my hands was when it was sufficiently cold that nothing I had could keep me comfortably warm. In those cases, proper artic weight mittens would have been more appropriate than the Sealskinz. Posted in Civilian, Clothing & Footwear, Military, Wet Weather by 22F with no comments yet.